Jessica Rekos was a beautiful 6-year-old girl who made us laugh every single day. She was smart, quick-witted, and compassionate. She was a natural leader - always teaching and helping others in her class, her neighborhood, and her family. Jessica was busy learning her multiplication facts, teaching herself about Orca whales, watching movies about horses, writing in her journal, reading books about whales, horses, and fairies, caring for her fish Betty, and playing with her little brothers as she looked forward to Christmas, 2012. She had asked Santa for a new cowgirl hat, and for new cowgirl boots (the ones Santa brought her the year before were too small, but she still squeezed her feet into them because she loved them so much). 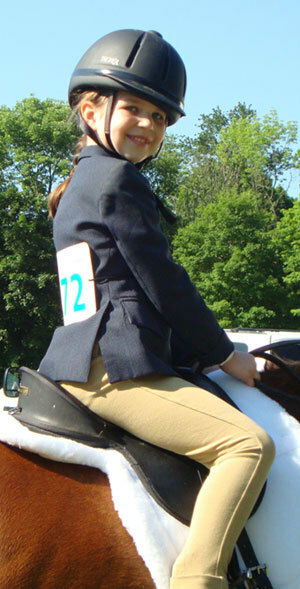 Jessica started taking horseback riding lessons at age 5, and she told us one time that she was going to "ride forever." We had promised to buy her a horse when she turned 10. She earned her first and only blue ribbon in June, 2012 at her first and only horse show. She proudly wore her ribbon clipped on her shirt as we walked around Target after her show. She wanted everybody in the store to know she had just been in a real horse show. Jessica watched the movie "Free Willy" with her Nana when she was 5. This sparked such an immense love for whales and specifically, Orca whales. We took her to the book store and bought her books about whales that she stacked on her nightstand, reading a little bit of each one at a time. She would set up her portable DVD player in her room and watch Free Willy, Free Willy 2, Free Willy 3, and Free Willy 4. As soon as she heard a fact about an Orca, she would pause the movie and write the fact in her notebook. She called this her "whale research." One night as I was kissing her goodnight, she said, "Mom, I just want to be friends with an Orca..."
As her school bus approached our bus stop on the morning of December 14th, Jessica and I were discussing how to sell Girl Scout Cookies. This would be Jessica's first time selling, and she could not wait for January when we could "officially" start making phone calls to friends and family. Jessica hopped out of the car as the bus approached and excitedly walked up the bus stairs. She sat in the front seat, looked at me through the window, and smiled and waved as the bus pulled up the hill. That was the last time I saw Jessica alive. Less than 45 minutes later, her life was taken at Sandy Hook School.